Welcome! Here we list those products and services that we have in recommendation for you. Overtime a lot of people have generally asked us about recommendations specially for them. Though we still help out people for getting good hardware and software; for a thought here we compiled a general list so that our visitors find it easy and might get some brief or additional information about the things we recommend. These listed Graphic Cards are very helpful in running Android Emulators. These processors are powerful and let you run multiple instances all together. Real-time CPU Optimization And Automation For Your PC Lets you to tune your PC to run in top performance always. All of us use Process Lasso to boost the speed of our system. 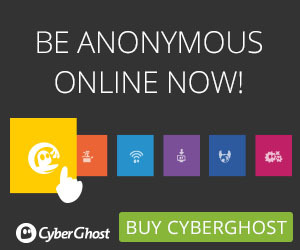 Cyberghost VPN in one of our favorite VPN that keeps us secure and our privacy protected. Malwarebytes is one of the leading anti-malware solution that we trust on our machines. Usually these days just having a Antivirus is not enough. # Please note We may earn a small commission for our endorsement, recommendation, testimonial, and/or link to any products or services from this website. Your purchase helps support our website in bringing you real information about product and services.